The ova & parasite 3 sample test checks for parasites using three stool samples. What is the ova & parasite 3 sample test? Why get the ova & parasite 3 sample test? The ova & parasite 3 sample test may provide more accuracy than a single sample stool parasite test. This Ova Parasite 3 Sample Test is a stool test. It typically takes 5 business days or less. The ova & parasite 3 sample test is a three sample version of the ova & parasite stool test. To get an ova & parasite 3 sample test near you, simply order online and submit your samples at the local lab. 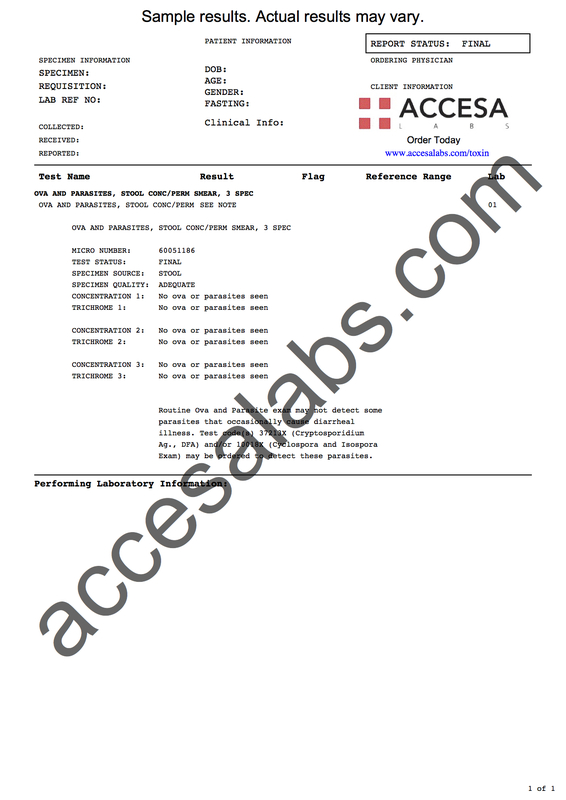 Once your ova & parasite 3 sample lab report is ready, it will be available for download. Parasites that can be found in the ova & parasite 3 sample test include protozoans, oocysts, helminths and larvae including Isospora (Coccidia) and Ameoba. Ova Parasite 3 Sample Test at Guaranteed Prices.